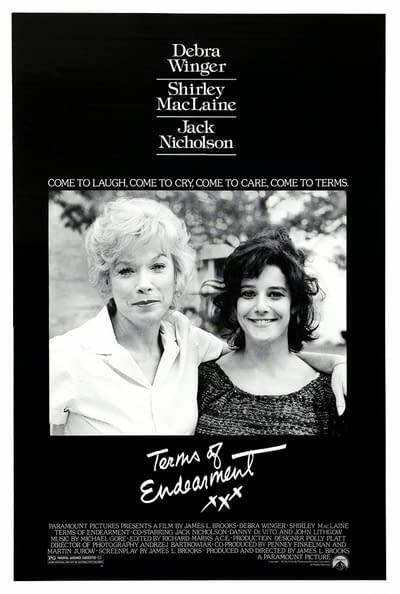 Widow Aurora Greenway (Shirley MacLaine) and her daughter, Emma (Debra Winger), have a strong bond, but Emma marries teacher Flap Horton (Jeff Daniels) against her mother's wishes. When the marriage grows sour due to Flap's cheating, Emma eventually splits from him, returning to her mother, who is involved with a former astronaut (Jack Nicholson). Soon, Emma learns that she has terminal cancer. In the hospital, supported by Aurora, she tries to make peace with Flap and her children.